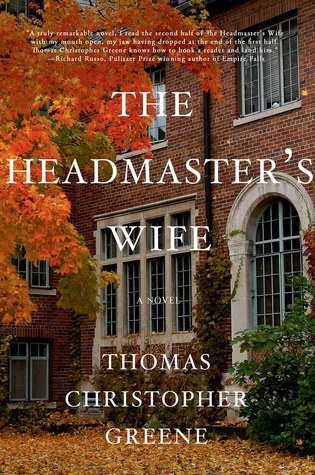 Goodreads synopsis: Like his father before him, Arthur Winthrop is the Headmaster of Vermont’s elite Lancaster School. It is the place he feels has given him his life, but is also the site of his undoing as events spiral out of his control. Found wandering naked in Central Park, he begins to tell his story to the police, but his memories collide into one another, and the true nature of things, a narrative of love, of marriage, of family and of a tragedy Arthur does not know how to address emerges. The majority of the book is told from the perspective of Arthur, the Headmaster of a private school in Vermont. I went into this book with no knowledge of it whatsoever, so I had no idea that Arthur might have been an unreliable narrator, and was, instead, disgusted by his behaviour thinking he was really obsessively pursuing one of the students and ruining another one’s life out of jealousy. I thought that whole storyline was going to be his ruin and the reason he was found roaming around naked in Central Park at the beginning of the book. I was very relieved to find out he was confused about his past and present and jumbling his memories as he told the police officers his story. And sad to find out the real reason he has spiraled into madness. But not very sad, because I didn’t care much about any of these characters. They didn’t feel real enough to me. I felt entertained by it, but not invested in it. One thing I liked about the book was noticing the parallels between the confused story Arthur tells the police and the way it really happened as told by Elizabeth. Also, it was a smooth read; quick and effortless. There was a sense that she had arrived. For this was all she wanted, wasn’t it? This house, this school, this accomplished husband, this son of hers with handsome long lashes and perfect features. There was nothing for her to worry about other than what time she needed to be at the library. A perfectly scripted life, in other words, with regimented days and seasons defined as much by the rhythms of school as by the weather. It was beautiful to be part of something bigger than she. Something that stretched both backward, to generations that came before, and forward, purposefully, to generations that had not yet arrived. Her life had both symmetry and meaning and sometimes Elizabeth thought that was all one could possibly ask for. There was no way their marriage was going to last without the resentment about what happened in the past surfacing at some point. Arthur did a terrible thing to try to get Betsy back when they were students – not the kind of thing that would seem like a romantic move – not even 20 or 40 years later. The past is everything now, and she understands that this is what it means to be dying: You stop looking forward, instead living for moments that happened years before. She also comes to find out that two “broken” people don’t necessarily make a good pair. She loathes him and loves him at the same time. How can it be both? Maybe it is because he has decided to fall away just when she needs him the most. Our next book, June 4, 2018: Stay With Me by Ayobami Adobayi – Join us! Just like you, I didn’t care for any of the characters in this book. And as you point out, this is yet again a book that is mistitled. It’s not really about Elizabeth, is it? I do have to say that I didn’t have the sense that their marriage was doomed from the beginning. They seemed happy enough once they were settled into the headmaster’s house. My problem was with the fact that neither one of them seemed to have enough substance to fill a life, let alone a book. Yes, but why were they happy once they got together? It didn’t make sense, did it? That’s partly why their marriage felt “unbelievable” to me. I just didn’t get why they were together again. I guess I kinda got it. Arthur aspired to simply fill his father’s shoes and nothing further. For me, Betsy was just a ‘trophy’ he gathered along the way. Arthur was. to my mind, the stereotypical manipulative ‘smooth operator’ you would expect to find working as a fundraiser. His personality was very superficial, I thought. Betsy was simply searching for some security. Especially financial, given her childhood. I think she just couldn’t wait to get away from her parents and being poor. It was obvious she was searching for somewhere to simply feel accepted and belong. I could empathize with her to a great degree. I don’t know if we aren’t making an assumption that they were happy. We just didn’t see that much of their marriage except in regard to their son. It seemed to me that their son was the only important think to Betsy. 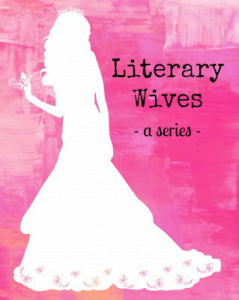 I’ve mentioned that I used to teach a lit class that focused on women and domestic life. I don’t have time to join the club, but if your group would like the books from my syllabus, I’d be happy to share them. That would be great, Melanie! We’re always happy to have more suggestions! These are all books I’ve read, so let me know if you have any questions! When I think about them and their marriage, the overwhelming feeling I have is pity. I pity them for the way they ended up together and for the life they led. And I think that’s very much to do with your comment about them not having “enough substance to fill a life”. You had much the same reaction that I had, disgust followed by, what the heck? and then a sense that the book wasn’t really about the wife at all. Your question about why they got married in the first place was the same as mine. I’m glad to know I’m not the only one with a “what the heck?” reaction. I thought I must have missed some kind of clue, and that I should have known Arthur was unreliable. It sounds like, so far, we all feel very similar about this book! I forgot to say, I was struck by your argument that the titles with “wife” in them seem to be the least suited to our theme. I agree, and that’s why I suggested a couple years ago that we look at books that were better suited. I think that has worked out a little better than just looking for books with “wife” in the title. One book about a wife that I really enjoyed is called The Dangerous Husband. It’s not about the husband at all! 😁 Your theory works both ways, apparently. I remember you mentioning that one before. I think we might even have it on our list! I don’t think this is for me – the characters would stretch my patience! I need someone to invest in even if I don’t like them very much. I’m afraid I can’t think of too many people I’d recommend this book to. Although, it has some good reviews on GR. It might be good for someone who’s just looking for a quick, easy “escapism” read. I read this a couple of years ago and I have to confess it left little or no impression on me apart from the eye-catching incident in Central Park. I’m not sure if that says more about my memory than the book! No, I’d say it’s the book. Even after just a week or two I had trouble remembering it for my review! From the passage you shared, it seems like Elizabeth wanted a life she could easily control, a small life filled with routine. But maybe that’s not how she really was in the rest of the book. It’s too bad that this didn’t work for you! But it seems like you’re not alone in that feeling from the comments. That is what she wanted, and I guess she wanted it more than anything else. Or she at least *thought* she wanted it more than anything else. I’m glad to have read it, though, because it was a book I’ve owned for a while – now I can free up that spot on the shelf! Readers could easily mistake this for a novel set in the 50s! Rebecca has been on my TBR list FOREVER!! I donI’t think I was quite as annoyed with this one in the end as you were, Naomi. I just found it sad and rather depressing overall that no character other than Russell seemed to be capable of thinking for themselves. Perhaps that is a typical ‘boarding school’ mentality? The willingness to accept and live life according to preset routines? I don’t know… No wonder Arthur ended up the way he did. I kept thinking to myself that I would go mad with my life being set in such routines! And Elizabeth really had not much to do other than work in the library, no cooking, cleaning, meal planning. Wouldn’t that be dull and boring? But Russell was the only one with a real backbone. I liked him! And he had compassion in the end. I liked him, too. And, although I don’t quite “get” Arthur and Elizabeth and their boarding school life, I do understand why Ethan ended up wanting to do something very different from his parents! Haha! Putting it that way, it sounds like the perfect title for LW. However, normally, it sounds like a title that would put people off (unless someone’s looking for a good hate read, or maybe a self-help/psychology book?)! Your point about those titles with the word Wife in them having the least to do with the actual wife – YES YES YES. I was thinking about exactly that this morning. This book really took that to another level, using the wife as a plot device, an obsession, a possession. As Kay pointed out, she barely has any real interactions on her own section. I have high hopes for the next one though!